In last week’s blog I provided some insights into my comparisons of leadership and horse-riding, and on reflection realised I didn’t include anything digital at all, so time to put that right with a ‘part 2’ on horse-riding with a very digital flavour. There will be very few readers who haven’t recognised that these little boxes of digital wonder were made for adventures and outside sports. A real revelation for most geeks some would say, and hopefully one of the few bits of technology which actually motivates people to get out and enjoy the great outdoors. I’ve found a few ‘headcam’ videos from horse-riders to demonstrate just how effective it can be in sharing our experiences and hundreds more on YouTube of course! Horse riders love pictures and videos. Click here to go to the GoPro website. There are just hundreds of Facebook groups and websites dedicated to provide forums to share and discuss all things horsey. On Facebook you’ll find groups dedicated to selling horses (and everything you need to go with them), horse events, riding clubs and much more. Nutty Nags is one of my favourites. Online saddlery and tack shops have grown-and-grown in number and quality of service in recent years, and certainly eBay provides most riders with the ideal platform to grab a bargain and sell on. Online there are all the major names in horse publications running their own channels – Horse & Hound, Horse & Rider and lots more. I’ve just found out about this one and I already love it. The small speaker attached around the wrist and links up with your smartphone to play music for those practising their dressage tests, and also takes on the microphone and loud-speaker functions of the phone so you don’t have to let go of the reins when a phone call. Click here to go to the Stride Audio website. Here’s one for the more advance riders and coming soon, with a real ‘Internet-of-Things’ development. A small monitor attaches to the middle of the girth (under the horses chest), from where it records and reports on the time you rode, the intensity of your workout, how long you spent working each direction, how many jumping efforts your horse made and how high (you could also keep track of farrier visits, vet check-ups, and other therapeutic treatments). Click here to help kickstart the app. Whether professional or amateur, there are thousands of riders heading out on the cross-country courses of the UK every weekend. The Cross-Country app helps to review and learn the courses before we even get to the venue, giving information about the number of paces between fences and the ground to be covered. It also provides supporters and spectators with an excellent way of enjoying the course in full whilst at events. Facilities to upload and share commentary on courses and photos of favourite moments too. Click here to go to the Cross-Country app website. The app for your phone which allows you to track the routes of your favourite hacks and also a web version coming soon so that you can review and plan further adventures. I’ve found it quite glitchy to use so far and so hopefully improvements are on the way. You can set up profiles of your horse (or horses if you have multiple). There's also a new web-based version apparently coming soon, so that you can review your activities and routes from there too. Click here to go to the Track-My-Hack website. Naturally, there are a range of apps for the smartphone which aim to provide emergency communications. All horse-riders know this can happen at any time to any of us. Devon Air Ambulance has an app which will track your location using OS grid references and pin-pointing your precise location in case of serious accident (helping the helicopter to find you quickly). This simple little app needs a set-up to include your emergency contacts, and the will track you out on your ride and alert that contact in the event that you’ve stopped moving. Click here to go to the Horse Rider SOS website. A massive resource for all training and horse entertainment. Incorporating content from Horse & Country TV and lots of our favourite equestrian stars and their horses. However, it’s not cheap once you start using it as there’s a lot of in-app purchasing involved in order to access most of the content, although if you dig deep enough you’ll find some free. It’s now got almost 300 training videos along with a range of other audio and photographic resources to help with our learning. Depending on your chosen discipline (dressage, cross-country, show jumping and eventing) you’ll be able to pick up and learn from the app and from a growing number of expert contributors to the Hub. Click here to go to the HorseHub website. Horse owners and riders are obsessive about the weather and so we all have our favourite phone apps to help with those tricky decisions (mainly about which rug does the little darling need today). I’ve been a big fan of XW Weather – I think it’s mainly used by fishermen, but provides all the right information for our horses too. There’s also the Met Office app and Weather Channel app too, all giving the right information (when the forecasters get it right of course). Recently I’ve found Weather Bomb – wonderful little app which provides daily and hourly forecasts helping us to look into detail of forecasts and make our plans. Finally, here we have an app for those people who don’t own or ride horses, but can enjoy the interaction with their ‘virtual ponies’. ‘Living the dream of owning and looking after a realistic horse and sharing that experience with your friends’. I don’t get it myself – how can you possibly enjoy the experience without mucking out on muddy, wet winter mornings at 6am?! Click here to download the My Horse app on iOS. 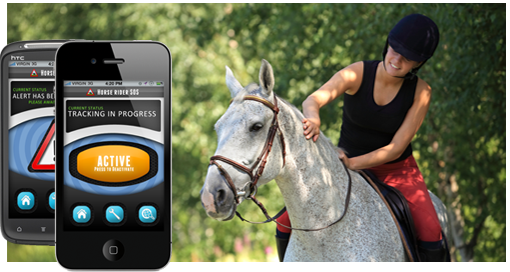 As you can see, these apps and resources are specifically tailored for horse riding enthusiasts, though there are lots of available digital technologies that you can use to compliment your favourite sport or pass-time. Do you have a favourite piece of tech that you use when playing sports or partaking in other activities? Let us know!